I have an idea on way to mount a strong metal loop to minipro's metal fram with its mounting bolts hidden under structures (would reguire major dissassably to reach). and the loop can be camoflaged with matching body color, matte finish.It would give place to loop a bicycle cable or ulock through for attaching to stationary objects that bicycles attach to. 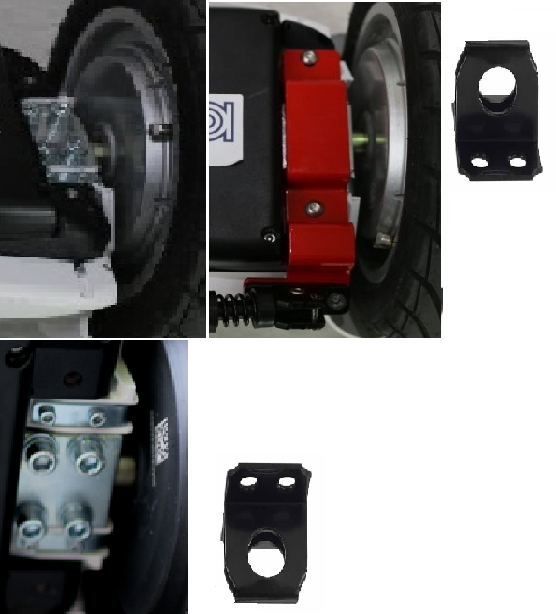 the knee turnning arm can be removed like a bicycle seat to keep it safe while parking the minipro. I would be interested in what you come up with for mounting a loop for a bicycle cable. I have just wrapped a cable around and around the control bar down low and pulled it tight to a bike stand but if someone knew to just undo the control bar clamp they could take my minipro in 5 seconds! It looks secure when you walk by and see a cable wrapped around it but I know it's not. 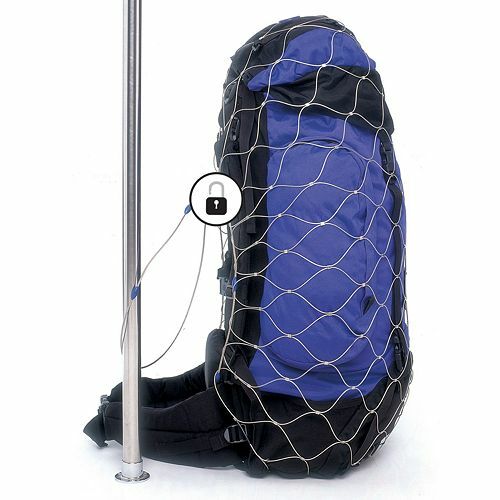 The wire bag idea is good but I don't want to carry a big wire net around with me. I think your idea of mounting a loop on the underside of the deck is much better, that way I can just use a simple bike cable that I can wrap around the control bar until I need to use it. I agree.. and it allow person to use locks they already have for bicycles. i think i would cover all the bolts with ezpoxy so they can not easily be removed with a hex key. but still can be used by careful removal of the epoxy for repair maintenance. 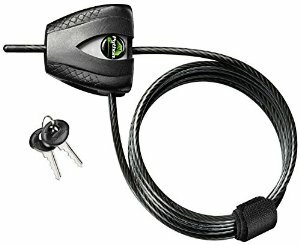 this Yeti cable lock could work for securing segway minipro to pole or other sercur opening ?? The Yeti lock is very similar to what I have. I have the Master Lock 8417D Python adjustable locking cable which would work very well with some type of loop on the bottom of the minipro deck. I don't think most key locks are very secure, they just keep honest people honest. It would be nice if they had a bluetooth cable lock but I have never seen one. I wonder if one of these on both sides bolted to frame using the motor mounts would work?? a d ring .. or even taking a piece of metal and being it like this (minus the d ring.. and drilling holes in it would suffice? ? 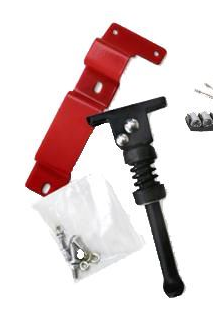 The D-Ring would work if it lines up with the bolts on the motor but I think I will just get a piece of metal like this picture and drill my own holes where the unused holes are and bend the metal around the bottom of the housing and exit out the front and then drill another hole to loop my cable thru. I'm going to wait a while and see what the after market comes up with as I'm sure it would look better than anything I could make. They already have the kickstand that mounts to the unused holes so they might come out with something else. The minipro also has the Kensington lock slot on the bottom but I have no idea which Kensington cable lock would fit. maybe can get the kickstand and drill hole into that frame for the cable? or the manufacture can add value by drilling it while in manufacutering to give it this additional feature? i still am looking for videor or pictures describing how the metal support frame is mounted to minipro and what bolts the holes correspond to. 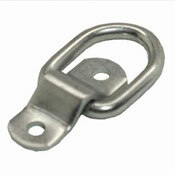 or possibly finding a suitably size gatehous hasp to bolt to under side of minipro.. like this one?? to string up cable through? this one sell for 3 bucks at Lowes hardware.. and it appears i could be bent to accomodate different widths.. and would give a double metal holes. to secure cable through? It looks like the holes are going to be very close.. and if note.. there are other size hasps that can be selected from that have better match? using the motor bolts to secure in four points? other attachment points could be under battery.. but this would cause water seal to be insecure i think. additional points on frame underneath the top center piece. but these too would cause complications for cable exit. 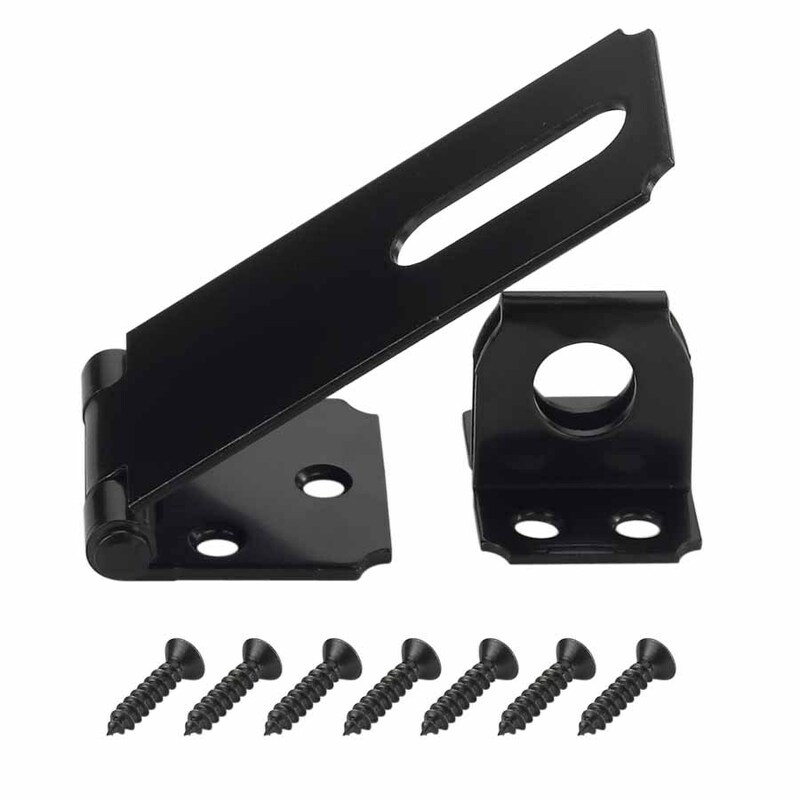 I don't feel comfortable using the kickstand frame because the bolts holding the kickstand to frame are from fender and not very strong or secure, compared to the 4 bolts holding the motor to frame.. If you enlarge the inner hole slightly - very easy to do - a normal Kensington lock fits the outer slot. I use one all the time. Makes it snatchproof but that's about all. 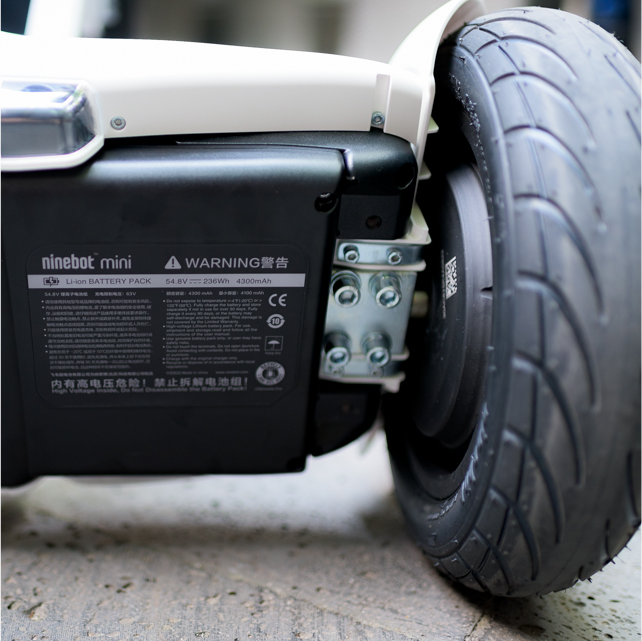 i think segway has a real opportunity to make some amazing things with this platform. and can leverage the name of Dean Kaman and his reputation.. but if they don't.. other companies will fill the void.. such as google or Apple.. I can see either of them creating personal robots and personal mobility device platforms using thier software.. implimenting the android watch or apple watch to connect to thier devices.. and opening up a market for app developers and after market accessies develoers etc. i think they should have build it with expand ability in mind.. like with bolt holes along the frame of the body for attaching things.. in front and on top and in rear.. can you imagine had they built that in.. how many people would be clamoring to create accessories to attach to it.. and if they open up the firmware for development and the phone app for development.. it really will open up even more opportunities for people to collaborate on the developing on top of this platform.